The team is citing “effective practice” in preparation for the playoffs. 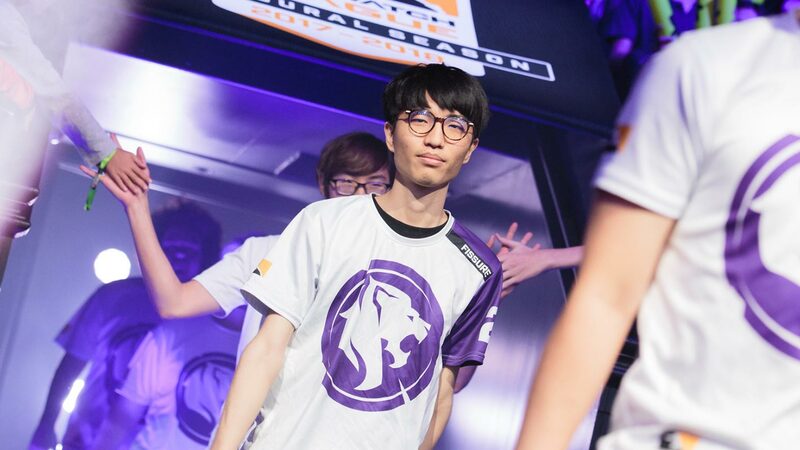 Los Angeles Gladiators’ star tank player Baek “Fissure” Chan-Hyung won’t play during the Overwatch League playoffs’ first match. IRemiix has reportedly been practicing with the team “to prepare in the most efficient way” for the Overwatch League playoffs. A Gladiators representative declined to comment further on the statement. The Los Angeles–based team is up against Fissure’s former teammates in London Spitfire. Their first playoff match is scheduled for July 11 at 9pm CT—just an hour from the team’s confirmation of Fissure’s absence. It’s a decision that’s confused many Overwatch fans; Fissure is widely considered LA Gladiators’ best player. A changing meta in stage four meant Fissure was playing a bit more Reinhardt than usual, but he still played a considerable amount of Winston—his best hero. A meta change is expected for the Overwatch League playoffs with Hanzo’s rework finally making its way over to the league’s patch. But is it enough to take Fissure out of the picture? Apparently it is for the Gladiators. IRemiix played a lot less in the Overwatch League’s fourth stage, clocking in with just under an hour of play compared to Fissure’s nine hours, according to Overwatch League statistics. There’s no word yet if Fissure will participate in LA Gladiators’ July 14 matches against London Spitfire, which will decide who moves on to the Overwatch League semifinals.